Abilities: Demonic Strength, Agility, Senses, Speed, and Longevity. Flight, Shapeshifting. 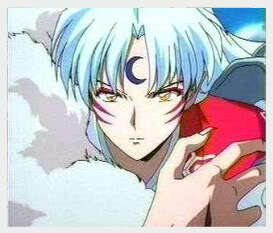 Bio: Sesshomaru is the demon son of the powerful Inu no Taishou and Inuyasha's half-brother. Sesshomaru believes that struggle is the only way to survive, and throughout most of the series, he shows his contempt for Inuyasha. Although Sesshomaru inherited his father's Tenseiga, which can bring a hundred people back to life with a single swing, he originally coveted InuYasha's inheritance, the powerful sword called Tetsusaiga. However, a spell was cast on the sword so that a full demon cannot touch it without burning his flesh. Despite knowing that he cannot touch the sword, Sesshomaru still desires to take it from Inuyasha. Throughout the series, Sesshomaru's compassion gradually grows as his rivalry with Inuyasha decreases. Bio: Jaken is a small green imp-like demon who is extremely loyal to Sesshomaru, often praising his master's greatness although Sesshomaru usually ignores him. Jaken himself is not especially powerful, despite bearing a weapon known as the Staff of Two Heads which breaths fire . He seldom engages in battle and is actually killed by Kaijinbo with Tōkijin, but Sesshomaru resurrects him with Tenseiga. 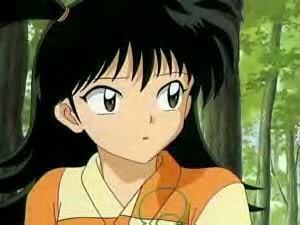 Bio: She is an orphan girl who finds Sesshomaru in the woods after he was badly injured by Inuyasha's Wind Scar. Although Sesshomaru snubs her, she visits him regularly and attempts to take care of him, even stealing fish from the village for him until she learns that he doesn't eat human food. The villagers beat her for the theft, but when Sesshomaru idly inquires about her injuries, she seems strangely happy about his interest in her welfare. During this time, she never speaks, only communicating with hand gestures and smiles. 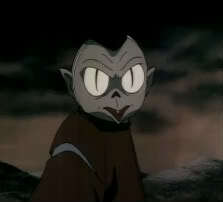 Later, the wolf-demon Koga chases a thief to her village, then lets his wolves kill and eat the villagers. Rin flees through the forest towards Sesshomaru, but the wolves catch up to her. Recovered from his wounds, Sesshomaru is leaving when he catches Rin's scent and follows it to her mauled corpse. Remembering her smile, he retests Tenseiga by using it to resurrect her. After setting Rin on her feet again, Sesshomaru walks away, leaving the dumbfounded Jaken and a wide-eyed Rin standing on the path. After a moment, they both follow. The next time Rin appears, she is clean, wearing a new, colorful kimono, and talking and acting more like a typical child. Throughout the series, she continues to follow "Lord Sesshomaru", as she calls him; when he is away on dangerous tasks, she waits for him with Ah-Un and sometimes Jaken. Though Sesshomaru never states any feelings for her, he displays a strong protective instinct and Rin is obviously devoted to him. Rin is killed for a second time when she and Kohaku, now also journeying with Sesshomaru, are taken by the "Dog from Hell." When he finds her body, Sesshomaru is visibly disturbed, especially when he learns that Tenseiga can only revive a person once. Rin's lifeless body is taken by the Master of Hell, with Sesshomaru and Kohaku following to retrieve her. When they return from the Land of the Dead, Sesshomaru's mother uses her Meidou stone to revive Rin. Jaken confirms that it made Sesshomaru happy while Sesshomaru puts his hand on Rin's cheek. In the final chapter of the manga, set three years after the defeat of Naraku, Rin no longer travels with Sesshomaru and Jaken. Instead, she lives with Kaede, which Inuyasha comments is "practice" for her to live in a human village as an adult, or whatever life she chooses. 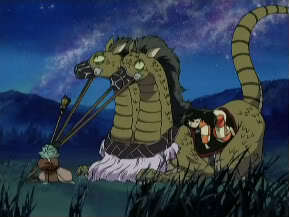 Sesshomaru is shown visiting her and bringing her gifts. Weapons: Ah-Un can shoot bursts of energy similair to lightning bolts out of it's mouths to attack it's enemies when it is roused into battle. From the right head, which is Ah, he fires beams of blue lightning. His left head, Un, fires green lightening which allows him to control clouds and probably the weather. However, he's never used his green lightening to directly attack anything and it’s possible that it isn’t harmful. 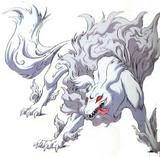 Bio: Ah-Un is Sesshomaru's beast of burden. He is one of the only two demons in the series who is explicitly stated to be a herbivore. Despite traveling with Sesshomaru for centuries, he has no name until Rin gives him one, calling the right head "Ah" and the left head "Un". Ah-Un can fire demonic energy from both mouths. The right head shoots blue beams of lightning, while the left shoots green lightning that can control clouds and possibly the weather. A grey cloud-like gas trails from his legs in flight, similar to Kirara's flames. On their journeys, Rin and Jaken often rest on his back to fly over great distances. When Sesshomaru leaves Rin in a safe place, Ah-Un stays with her as her protector. He saves Rin from a group of lesser demons while she is collecting herbs to save Jaken from being poisoned by Naraku's Saimyosho. Ah-Un also defeats many of Setsuna no Takemaru's zombie warriors in InuYasha the Movie: Swords of an Honorable Ruler.